RED RIDE: Advanced level of riding, 50+ miles / 15+ avg. mph. Above average to extensive hill climbing. Few regroups or stops. ORANGE RIDE: Advanced-intermediate level of riding, 40+ miles / 13-15+ avg. mph. Average to above average hill climbing. Regular regroups or stops. GOLD RIDE: Intermediate level of riding, 30+ miles / 12-14+ avg. mph. Moderate to above average hill climbing. Regular regroups or stops. PURPLE RIDE: Beginner to knowledgeable level of riding, 20+ miles / avg. mph does not apply, a no-drop ride. Moderate hill climbing. Regroups and stops appropriate to group level. GO RIDE: Intermediate to advanced-intermediate level of riding, 30+ Miles / 14-15+ avg. mph. Moderate to above average hill climbing. Regular regroups or stops. 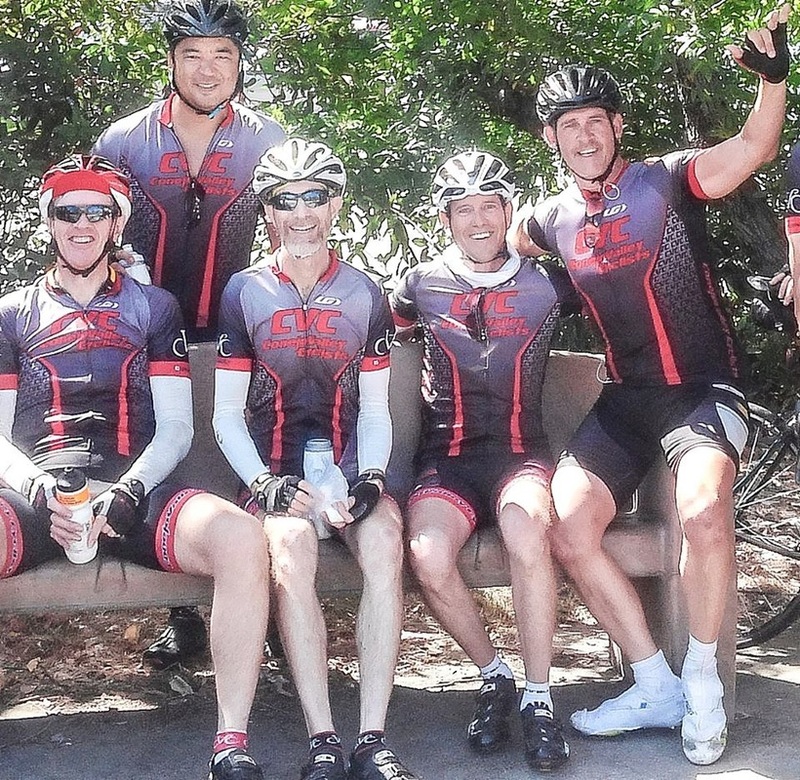 SOCIAL RIDE: ALL levels of riders welcome, 20+ Miles / 13+ avg. mph. Moderate to average hill climbing. Regular regroups or stops. This is a no-drop ride that maintains an average pace of 13+ mph. ​​MOUNTAIN BIKE: ALL levels of riders welcome, 10+ Miles / 10+ avg. mph. Moderate to average hill climbing. Regular regroups or stops. Please note the due to the nature of the local terrain, this ride tends to have a Gold/Orange pace.